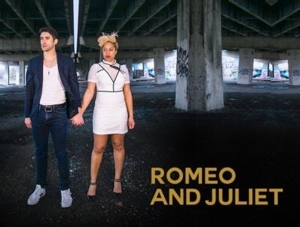 Fri, January 25, 2019 3:00 P.M.
A contemporary retelling of the William Shakespeare classic, Romeo and Juliet, is coming to Philadelphia this season, directed by Blanka Zizka, founder of the acclaimed Wilma Theater. Meet Ms. Zizka and the show's Dramaturg, Walter Bilderback, at a discussion and Q&A, in a Wilma Theater Portable Studio program in partnership with the Friends of Independence Library. And don't miss the Wilma's Theater and Storytelling program at Independence Library on Saturday, January 19 and Saturday January 26, with an opportunity to receive free tickets to the performance! For more information, call Lee Ann Etzold, Portable Studio Program Director, at 215-893-9456 or email Letzold@wilmatheater.org.